What is Restream chat? What are the chat features? We are proud to introduce our brand new Web Chat Applciation which is a web based tool available for use on any device with browser, so there are no more limitations to Windows, MacOS, Linux, iOS or Android, you are free to choose the most suitable way! 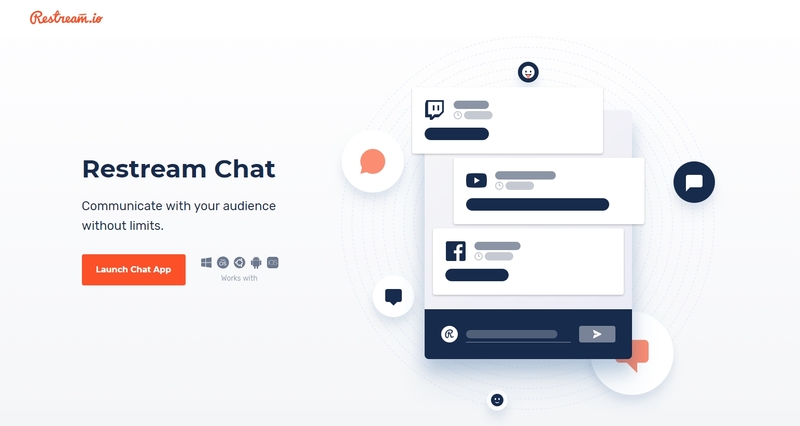 Our Chat includes a number of features to bring an ultimate streaming experience in communication with your audience and between your audiences. Let's take quick peek at the currently included functions. Yes, you are right! Web chat now supports not only displaying user messages from end services in your chat, but also give you the ability to actually reply into all chat or separately by platform, if you need to send a link or trigger your chat bot command that is easily done from 1 place. Relay bot - is one of the most amazing and awesome features! Relay bot allows you to enable relay between all of your channels on different streaming services. Ye,s you heard it right, now your viewers and communities can communicate with each other without the need to leave their preferred service. 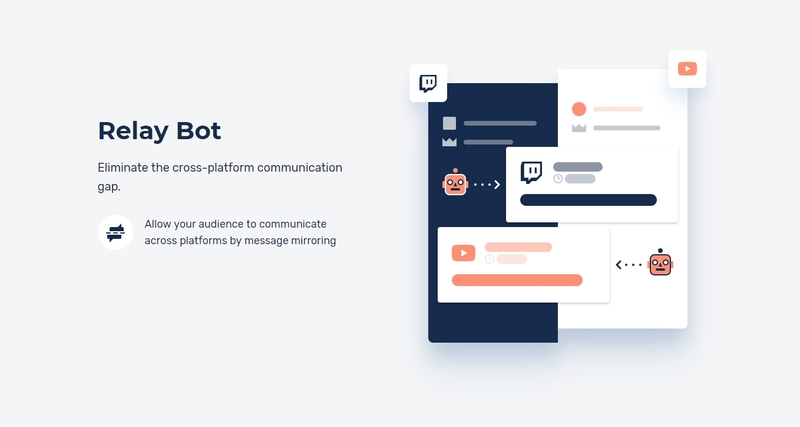 Each time user delivers a message into the chat our relay bot will specify a certain user nickname and duplicate the msgs across other streaming service. Wow, how cool is that?! Easily embed your chat to your stream in any encoder that support browser source. Embed display is fully customizable with ready-to use templates, so take you time to make your embed look as neat as possible, be creative! 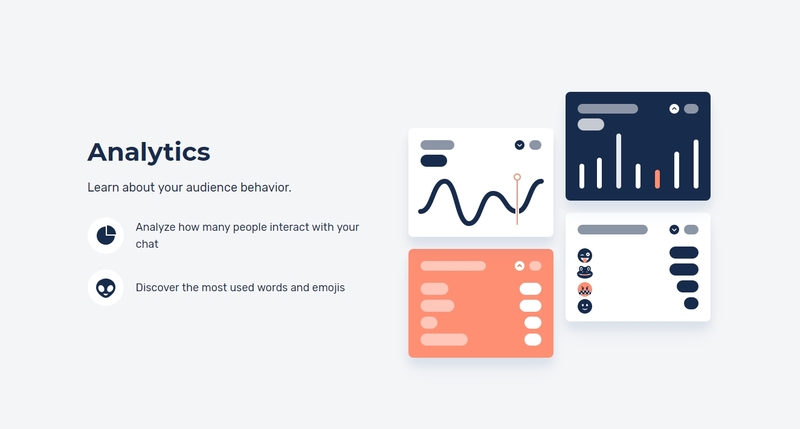 Analytics - we gather your multi-chat analytics for you, so you will be able to get the insights on what your community loves most and a lot of insights about what's actually going in your chats during your streams! We are looking forward to bring much more new features into our Web Chat, if you have any ideas to share with us and feedback on our current features feel free to provide us here! Enjoy your Restrem Ultimate Chat Experience!